A patch designed to make people ‘invisible’ to disease–transmitting mosquitoes may soon undergo field trials in Uganda. The Kite Patch is a small sticker for clothes that works by disrupting mosquitoes’ ability to sense exhaled carbon dioxide (CO2) and human odour — the key known ways by which the insect finds people to bite. A single patch is designed to provide protection for two days and to be effective against all mosquito species. As the CO2-sensing mechanism is common to all species of mosquitoes, the patch should be effective against all, says Michelle Brown, chief scientist at Olfactor Laboratories, United States, which developed the patch. After undergoing preliminary laboratory tests, the patch is now ready for large-scale production and field-testing, and the company is crowdsourcing funds to assess the patch in Uganda. 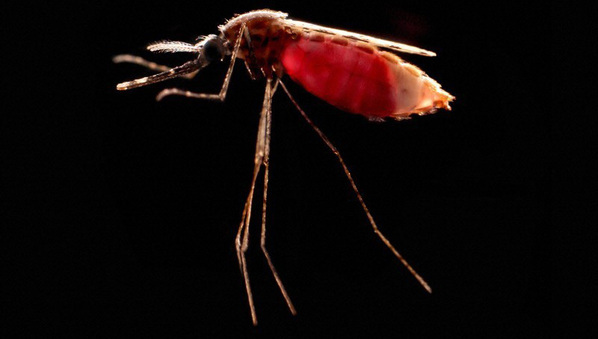 “Uganda is among the countries experiencing the highest rates of malarial infection, particularly in children under the age of five,” Grey Frandsen, project leader on Kite Patch, tells SciDev.Net. “It’s a country that will allow us to test our technology in a range of different settings,” he adds. With the field tests planned for later this year, Frandsen and his team at Olfactor Laboratories aim to evaluate the adaptability of the patch and expect to gather more than six million hours of data for analysis. “We are looking for effectiveness. We know that our technology works; the question now is: does it work on a shirt that’s not been washed for three days or does it work where huts are built with cow dung,” says Frandsen. The Ugandan field tests will be funded through a 45-day crowdsourcing campaign now being hosted by crowdfunding site Indiegogo. Within four days of the launch, the campaign raised more than its initial target of US$75,000. It now aims to raise US$600,000 and the latest figure was at just over US$527,000. Frandsen says: “We wanted to involve a large number of people in the process of developing the final form of the technology and efforts to get it to market”. Olfactor Laboratories has filed for a patent on the patch and is collaborating with NGOs to make it available worldwide. The costing has not been worked out yet, according to Frandsen. But, he says, the patch is likely to be subsidised so that it costs less than existing repellents and can be used everyday. The patch contains non-toxic compounds that are approved by the US Food and Drug Administration, and “nothing like [it] exists on the market today”, Frandsen says. The Kite Patch research team is also looking at how mosquitoes are affected by re-exposure to the chemicals in the patches and whether they might become resistant to them. But, Brown tells SciDev.Net, “at this time, we are not seeing any evidence that would indicate resistance towards our compounds”.